Karin L. Holma is the Managing Partner of Bays Lung Rose & Holma, where she manages the firm and handles a full caseload of commercial litigation cases. Ms. Holma specializes in construction law and litigation, and commercial and business litigation. She is skilled at litigation strategy and management and is known for putting together the right team of professionals to handle major litigation. 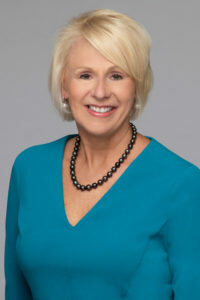 She has been with Bays Lung for 25 years and has successfully litigated numerous cases in career, including partnership and corporate disputes, defense of class action lawsuits, major financial mismanagement and fraud cases, defense of condominium and homeowners’ associations, construction finance and defect litigation, and government agency representation and defense. Represented SHAKA Movement in landmark litigation against Monsanto Company – case pending before the Ninth Circuit Court of Appeals. Represented Aloha Tower Development Corporation in defense of claims for $23 million in arbitration. Represented MacFarms LLC in dispute with Royal Hawaiian Orchards regarding macadamia nut processing. Represented Japanese partnership in dispute among partners. Represented homeowner in claims against contractor for fraudulent overbilling. Case settled favorably by contractor repaying homeowner several hundred thousand dollars. Represented Kauai landowner for 20 plus years advising on wide range of issues and disputes from development and zoning, to lease issues, to partnership issues. Represented Architect and Civil Engineer in multi-million dollar wrongful death case alleging negligence in the design and engineering of a highway on Hawai’i Island. Obtained summary judgment in favor of clients. Represented Architect in case involving a fire that destroyed several luxury high-end condominium units on Maui allegedly caused by negligent design. Obtained summary judgment in favor of client. Represented Contractor in defense of claims brought by homeowner for construction defects. Obtained arbitration award in favor of Contractor. Represented Owner in defense of claims brought by Contractor for failure to pay full contract amount. Obtained arbitration award in favor of Owner on Contractor’s claims and arbitration award in favor of Owner on Owner’s counterclaim against Contractor for fraudulent overbilling. Represented Architect in claim by Owner for negligent design of a parking structure. After one week of arbitration, the case was favorably settled in favor of Architect.